Tampa, FL – The Empire League offices have now open internship opportunities for Sports Industry, Sports Management, and Sports Marketing majors . It’s That time of the year again, we are now officially preparing for our 2019 season and have started the process of looking for driven individuals looking to break into the Sports industry. College Students, if your dream is to some day work for a Major League Professional Sports organization, chances are they will require two years of experience. 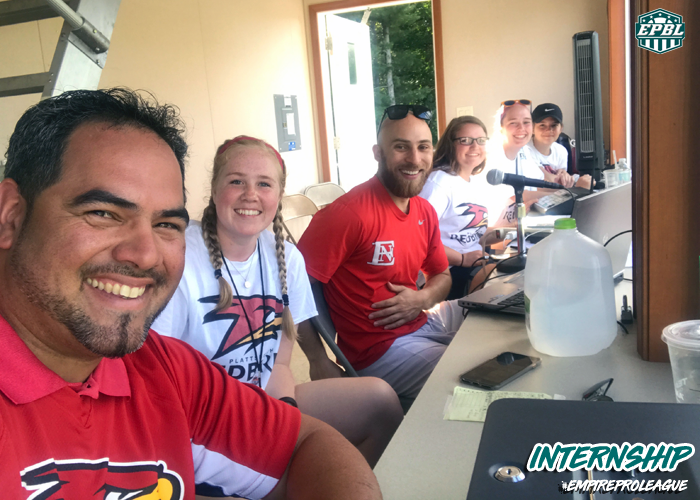 Over the last 4 years the Empire League has had front office interns and members move on to get jobs in Major League organizations as Scouts, sales reps, marketers, and many other front office positions. This summer opportunity could be the best experience and internship credit available for sport industry seekers. If you are interested in one of our front office positions and internships, now is the time. Please send us your information to Baseball@empireproleague.com or apply below! We are looking to fill, Team Leader, field operations, scoreboard handlers, Tickets, and entertainment personnel, along with sales and marketing staff members.